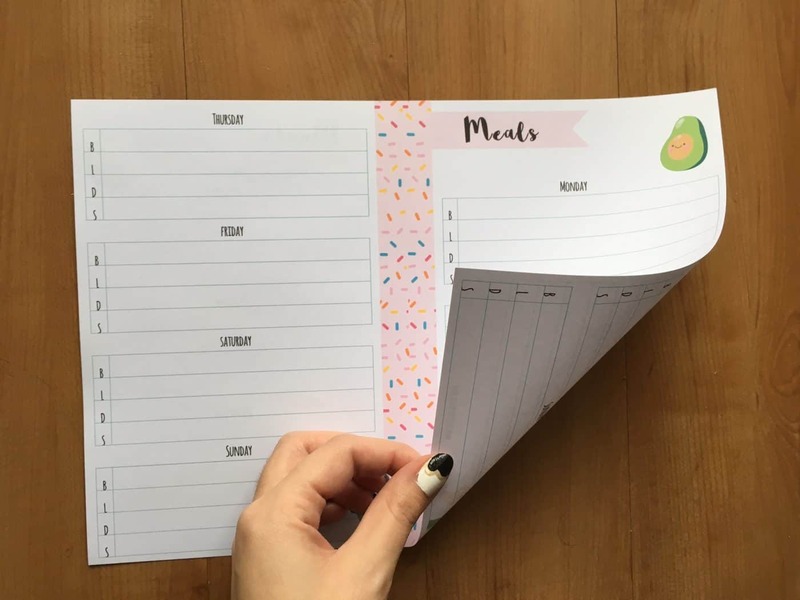 And here’s the first one: this planner insert can be used either as a food log or as a meal planner! In order to keep it suitable for both types of use, I just added the title “meals”. 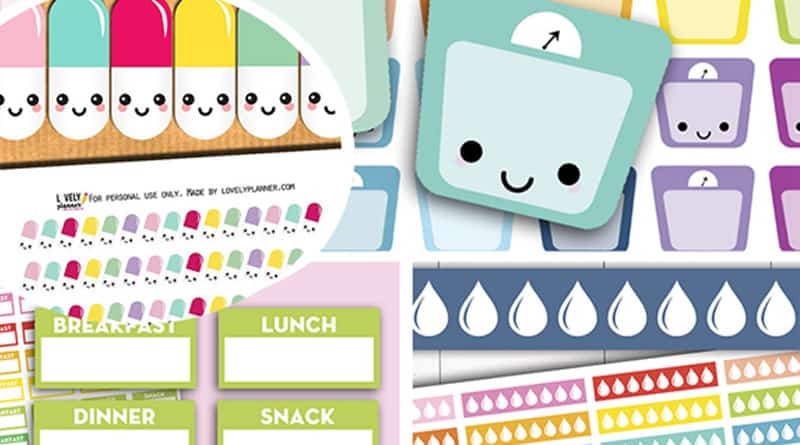 For each day of the week you get a little tab with 4 spaces: Breakfast, Lunch, Dinner, Snack. 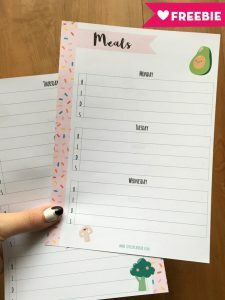 My husband is the cook at home, so I personnaly use this insert more as a food log and leave all the meal planning to him. I hope you’ll find this insert functional! Of course, cute veggies (and the donut sprinkles) are there to brighten up the path to better eating habits! 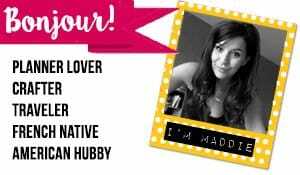 Please, keep on reading until the end to see how to print and use this printable to master the borderless look! 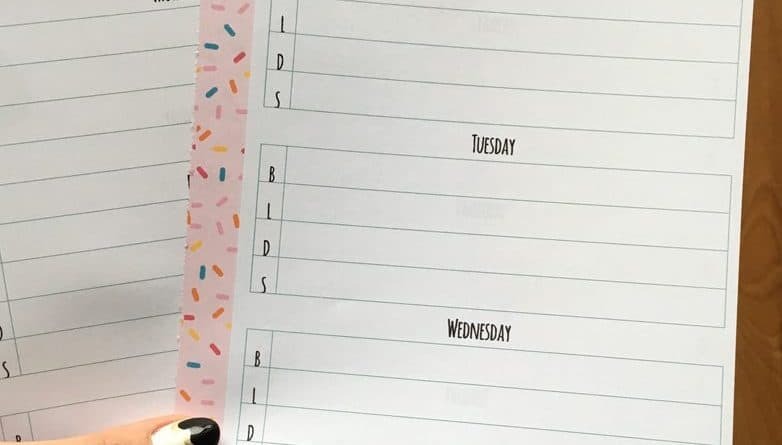 How to print borderless A5 planner inserts? While I’m sharing this free printable with you, I’d like to “warn” you first that depending on your printer it’s possible that you may struggle a little bit to get the same end result as I did. Or it’s possible you find the process too complicated for your taste. I’m sorry if it’s the case and I hope you’ll find a lot of other cool printables on this blog to compensate your disappointment. 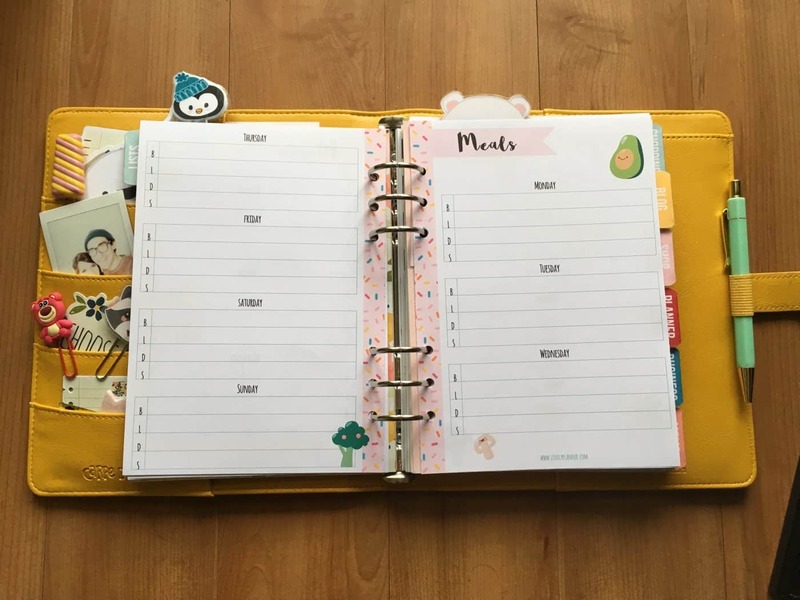 For those who’d still like to try, here’s my personal experience and tips on printing borderless inserts for A5 planner inserts. I really like to have a cute little border (where the holes get punched) on my inserts and so I came up with this solution. My printer is able to print borderless on A4 sheets, so I’m able to create A5 borderless inserts by including 2 inserts on one A4 sheet. 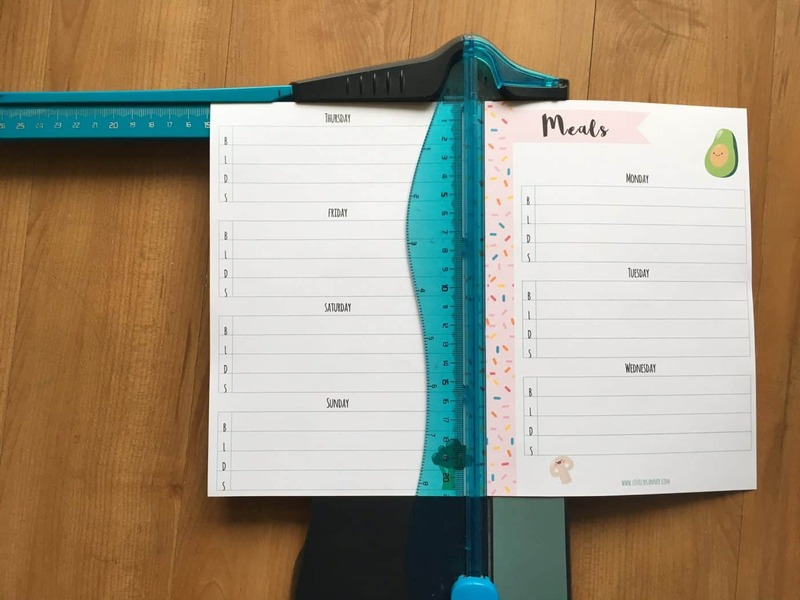 This printable is made to fit inside A5 planners. Unfortunately my printer doesn’t allow me to print borderless (edge-tp-edge) on A5 paper. My printer (Canon MG 5500) does allow me to print borderless on A4 paper though! Yay! If your printer allows you to print A4 borderless then good news: you too, can get cute A5 inserts with a nice border. As you may know, one A4 sheet is composed of two A5. And I really like to have a cute border on my inserts, so in order to do that I created my file in an A4 format (featuring both sides of my A5 inserts). Once you’ll open the PDF you’ll see what I mean, but basically, the PDF has to be printed on A4 paper, both sides. 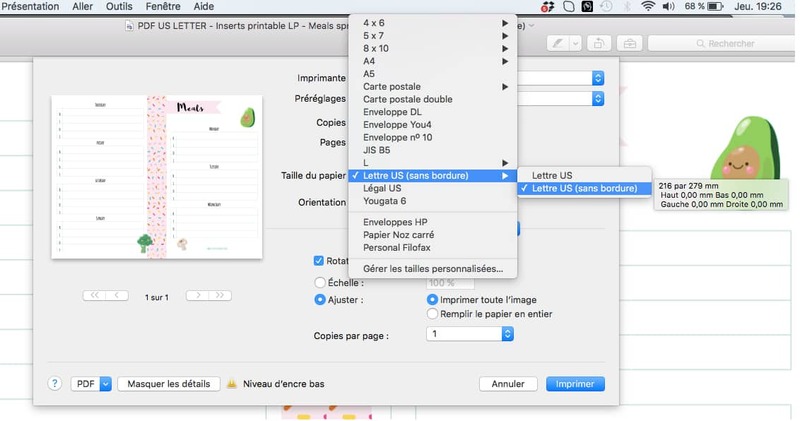 In “paper size” select “A4 paper” or “US letter” depending on the paper you use, then if there’s an arrow next to it that means you get to select the borderless option (here called “sans bordure”). Select that, you’ll see in the preview that your cute border is all good. Cut it in the middle. 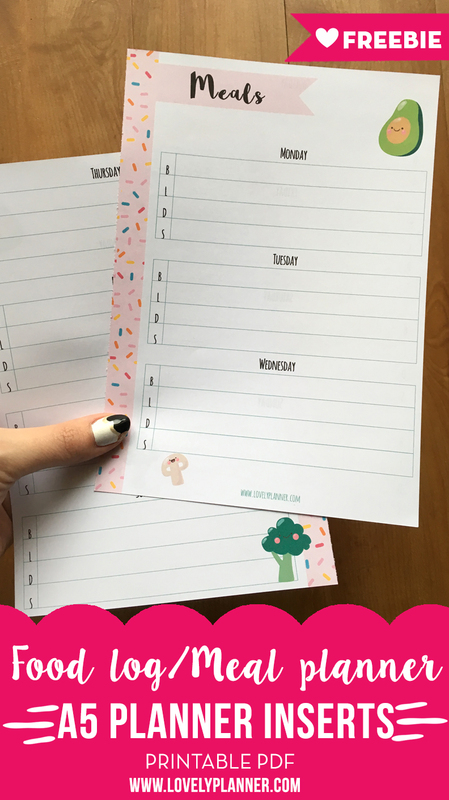 Punch holes, add in your planner and enjoy!! Im curious as to what your cutting your paper with? it looks cool!